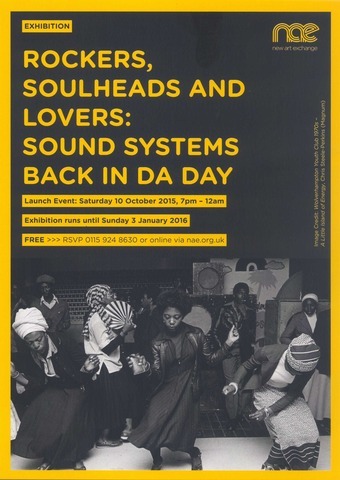 From dressing-up to dancehalls, Rockers, Soulheads & Lovers: Sound Systems Back in Da Day explores the golden era of African-Caribbean sound systems from the 1950s to the early 1980s in London. 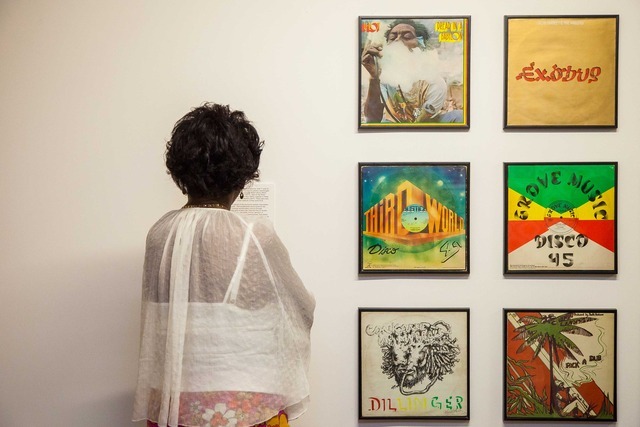 Told from the perspective of local people, this vibrant exhibition curated by Michael McMillan in collaboration with Dubmorphology (Gary Stewart & Trevor Mathison), takes the form of an atmospheric audio-visual installation, conjuring a Blues party environment within the galleries. 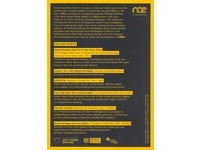 It brings to life an important cultural history, explored through a display of historical objects, personal accounts, film footage and photographs, reflecting upon how these dynamic cultural practices have had a significant impact on British music and dance ever since. 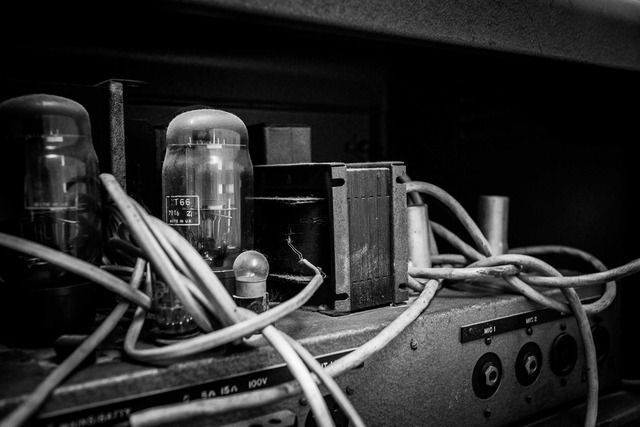 Sound systems (sounds) refer to custom-made high-powered mobile Hi Fi’s, and the equally important collective of ‘operator’, ‘box boys’, ‘engineer’, ‘selector’, ‘toasters’ and ‘MCs’. 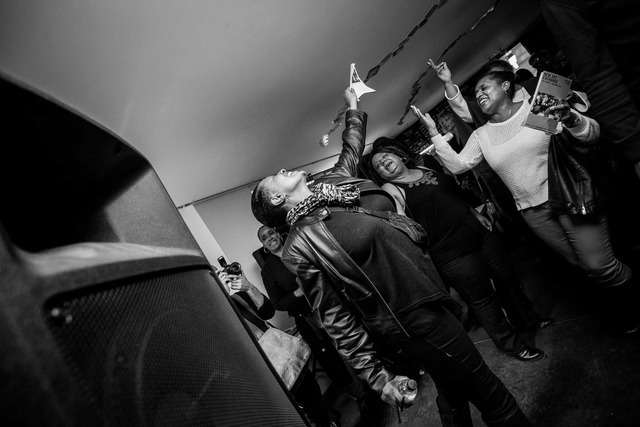 Barred from English pubs and clubs, and rarely hearing their music on the radio, many Caribbean migrants created their own House parties (late called Blues parties and Shebeens) in their homes where they could socialize, sometimes in a racially mixed environment. 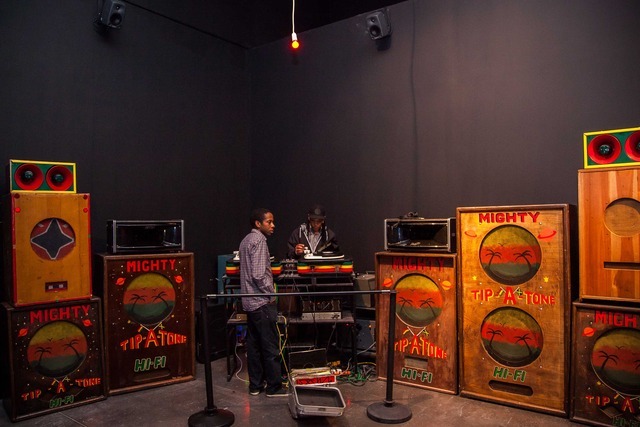 Although sound systems originated in Jamaica, it would form its own expression and identity in Britain and with reggae as it’s cultural foundation it has since created and absorbed other black music genres: Soul, Funk, RnB, Hip Hop, Jazz Funk, House, Jungle, Garage, Drum & Bass, Dub Step, Grime. 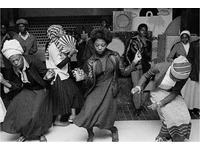 The title, Rockers, Soulheads & Lovers, represents the diversity of subculture within sound system culture during the 1970s, from Reggae to Soul and Funk, to Lovers Rock, popular amongst many women and men. Its distinctive British style, therefore, tells a unique story of migration, settlement and identity. 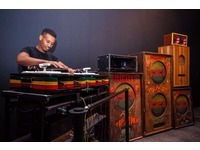 Alongside Nottingham, Bristol, Manchester, Leeds, and Birmingham amongst others, London emerged as a leading city for sound systems. 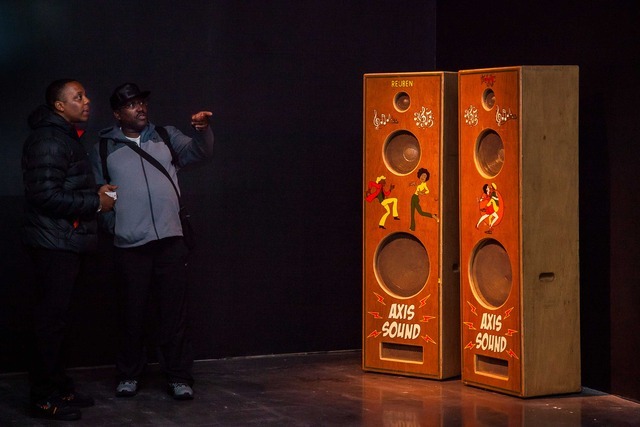 The exhibition narrative explores London’s historic sound system culture, including Sir Coxsone, Sufferah, Sir George, Mastermind, Rappattack, Saxon Studio, and Nzinga Soundz, led by women. 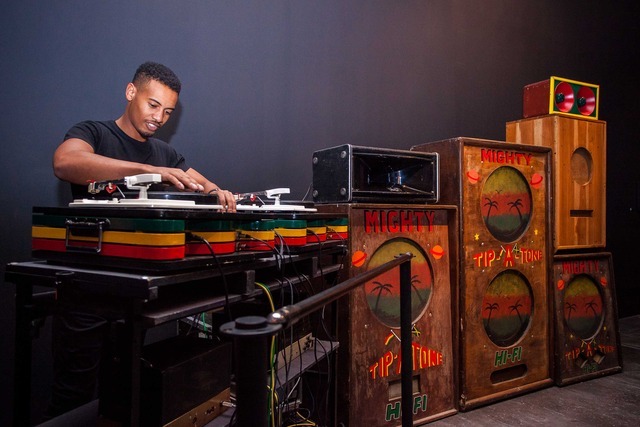 There is also the next generation of sounds like Young Warrior, who continues the tradition of his legendary father Jah Shaka, in his own style. 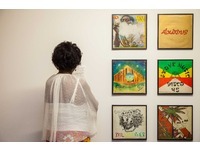 Amongst these stories are producers like the legendary Dennis Bovell, and Mykaell Riley (Steel Pulse). 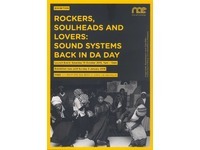 Janet Kay, Victor Romero-Evans and Carroll Thompson also discuss the importance of Lovers Rock for ‘ravers’. 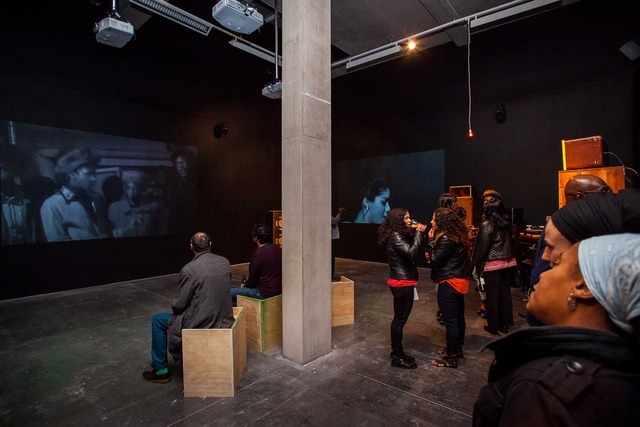 Their memories and experiences are collated and presented through audio-video material, historical and contemporary. 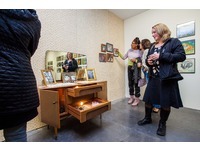 The exhibition functions as an archive of photographs, flyers, style-fashion-dress, objects and furniture of the moment, which come alive in the gallery. 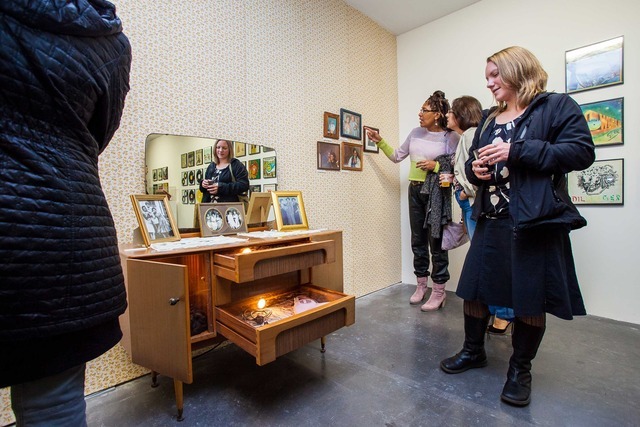 • Central to the dance was/is the desire to impress, recreated in the exhibition through a built domestic setting, complete with wallpaper, a ‘Blue spot’ radiogram, hairstyling tools and dress. 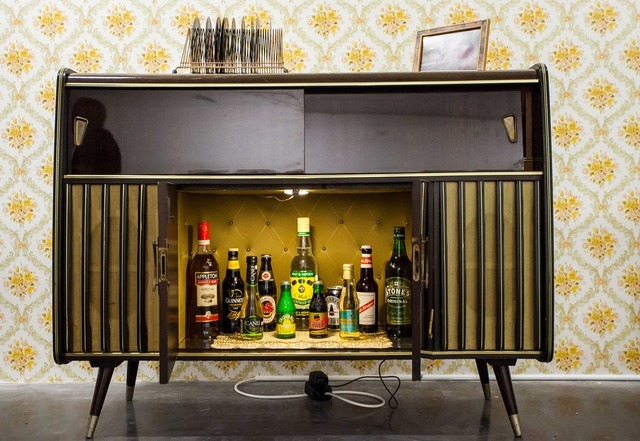 • While many of these clubs and dance spots have long since gone they are located on a large-scale interactive map of London alongside equipment on display including wardrobe speakers, valve amps, and vinyl records. 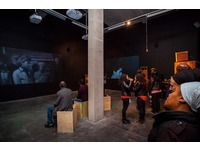 A three screen triptych includes archive footage, a layered soundtrack interwoven with oral histories. 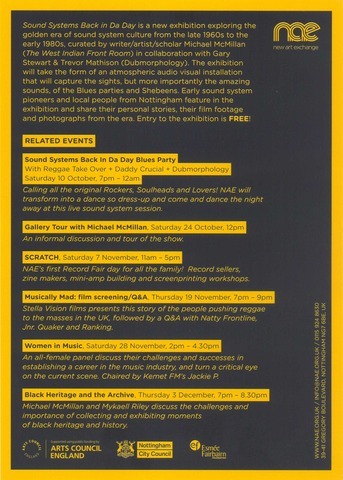 • The exhibition opens with a Blues dance at 198 Contemporary Arts & Learning on Saturday 19th March, with local DJs playing on a local sound system. 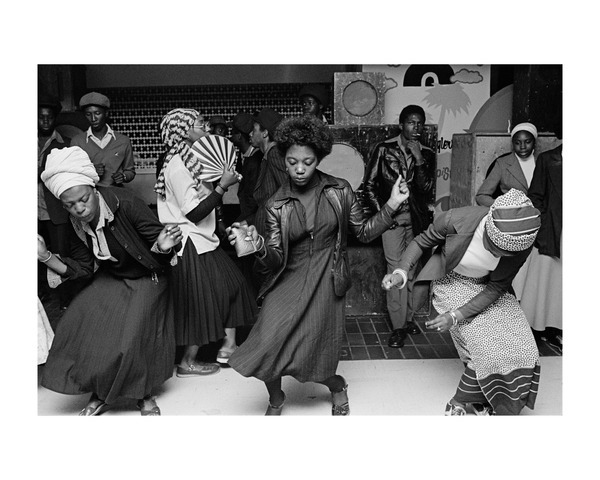 • Opening to the public on 21st March, the exhibition includes a programme of public events and educational activities including guided talks with the curator Michael McMillan, panel discussions, film screenings, and workshops, such as How to Build a Sound System. 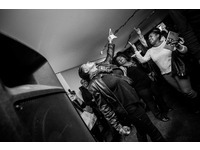 "outh London, and near Brixton in particular, near where 198 Contemporary Arts & Learning is located, was home to a vibrant sound system culture with some still playing out today. 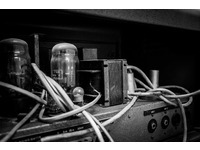 They created a new sonic landscape in the UK, which in turn contributed to the evolution of popular music as we know it today. 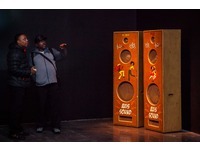 We wanted to create an exhibition that revealed London’s sound systems and celebrated their contribution to this important cultural moment." 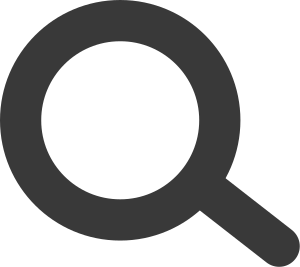 Michael McMillan is a British born writer, playwright, writer, curator/artist and scholar of Vincentian migrant heritage. 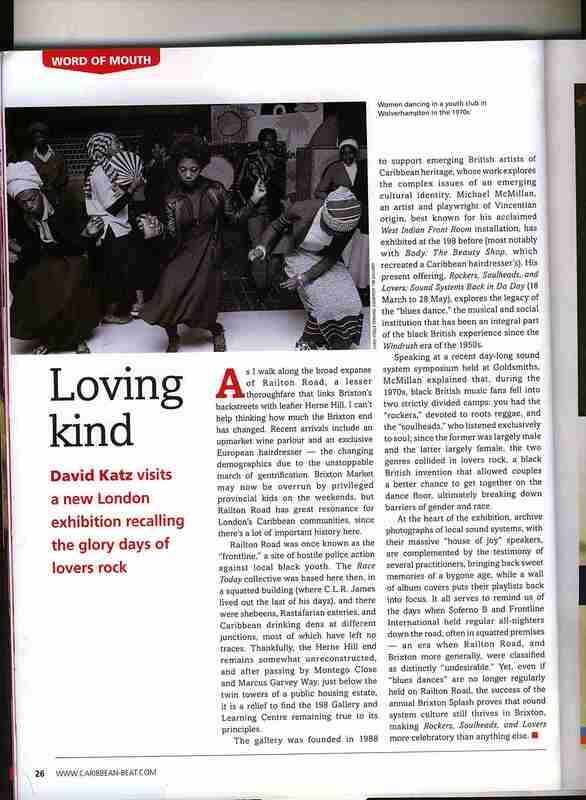 He is best known for The West Indian Front Room (Geffrye Museum 2005-06) The Front Room: Migrant Aesthetics in the Home (Black Dog 2009) & Tales from the Front Room (BBC4 2007). 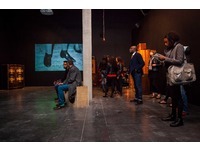 Recent work includes: No Colour Bar: Black British Art in Action 1960-1990 (Guildhall Art Gallery, 2015-16) and Doing Nothing is Not an Option (Peckham Platform, 2015). 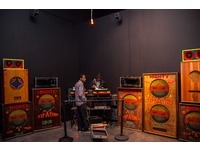 Dubmorphology is a London based interdisciplinary artist and research group formed by Gary Stewart and Trevor Mathison. Through experimental approaches to sound art, live cinema and installations Dubmorphology blur the boundaries between the sonic, visual and performative. 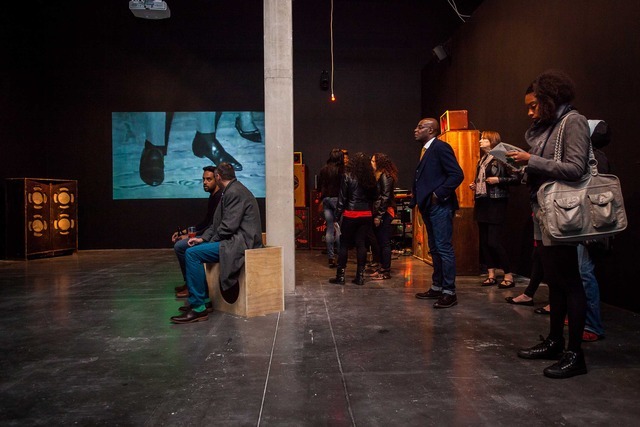 Recent exhibitions, biennials, laboratories and performances include Uprising, Bogota; Multiplicidade, Rio de Janerio; Haus der Kulturen der Welt, Berlin; Art Dubai, Madinat Jumeirah; Taipei Biennial; W.E.B. 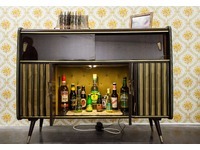 Dubois Institute, Cambridge; Afterimage, Bristol; and dOCUMENTA (13), Kassel.